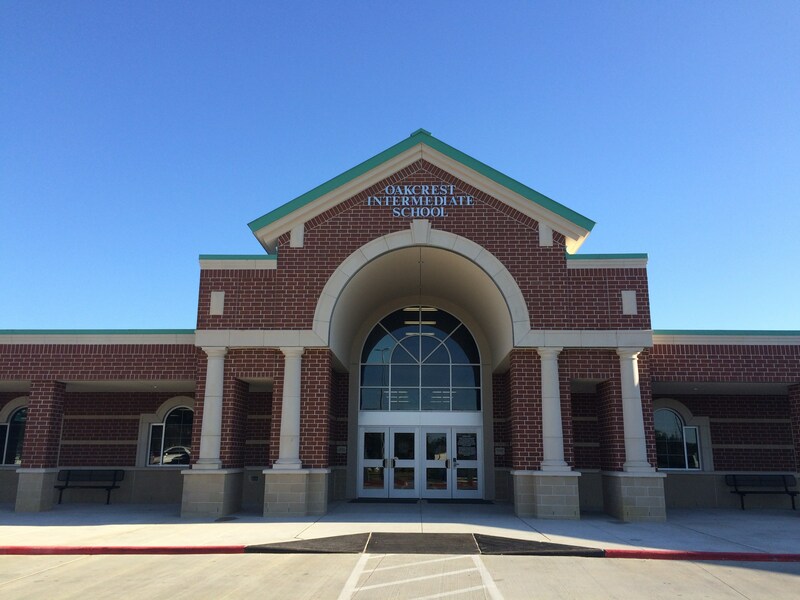 Oakcrest Intermediate is the district’s third intermediate school. The campus is located on Shaw Road and will serve approximately 900 fifth and sixth grade students in a 118,279 square foot building. The front portion of the campus houses the administrative offices. Computer and science labs are accessible to the classroom wings, which also feature smaller classrooms for small group instruction. The design features a competition gym, art rooms, and a fine arts wing that includes band, orchestra, and choir rooms. The drop-off/pickup loop provides access to the main entrance. The new campus opened in August 2015.